Each year, over 40,000 people are diagnosed with oral cancer. While smoking and tobacco use is by far the biggest cause for this often fatal disease, there are other things that can put you at risk. Hormonal changes, the aging process, and being exposed to certain viruses can also contribute to the development of cancers of the mouth and throat. Because these diseases are increasingly more common, but are highly treatable in the early stages, Dr. Philip A. Lisk recommends having an oral cancer screening done at every checkup to ensure that your dental health is safe. Read more on how these simple exams can help save lives. An oral cancer screening is an exam that Dr. Lisk will complete to check for any signs or symptoms of abnormality in your mouth. By checking for abnormal cells that you may not be able to identify on your own, your North Raleigh dentist will be able to spot problems early and treat them as necessary – helping to prevent cancer and making recovery fully possible. 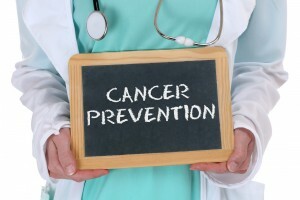 Why Are Oral Cancer Screenings Necessary? These preventive tests should be done for many reasons. Since the rates of oral cancers are increasing, The Oral Cancer Screening Foundation suggests having screening tests done at every regular exam – similar to the early detection efforts of mammograms, PAP smears, and prostate exams. Since cancer can develop anywhere, and for many reasons, it’s important that every patient be screened regularly. A multitude of conditions and circumstances can lead to oral cancer. The list below has more information on specific causes. Tobacco use is the biggest contributor to oral cancer – and this cause is entirely preventable. HPV-related cancers can be very serious, but they are less fatal and have a lower chance of recurring when compared to other oral cancers. This disease if highly treatable is detected early. Look at these symptoms to see if you should come into our office to talk with Dr. Lisk about your oral cancer risks. Oral cancer, like all cancer, is serious business – routine screening techniques from Dr. Lisk can reduce your risks when it comes to this disease. Schedule an appointment and get screened today!